Now, a team of chemical engineers at EPFL Valais Wallis have synthesized a new biologically-derived MOF that can be used as a "nanoreactor" – a place where tiny, otherwise-inaccessible reactions can take place. 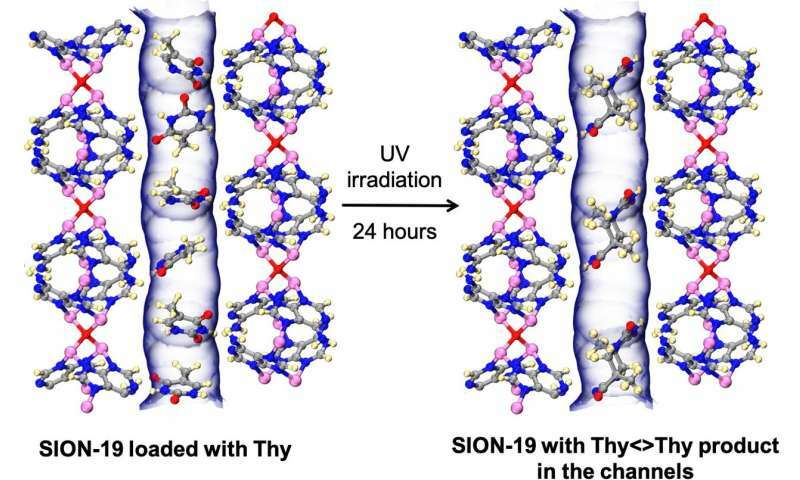 Led by Kyriakos Stylianou, scientists from the labs of Berend Smit and Lyndon Emsley constructed and analyzed the new MOF with adenine molecules – one of the four nucleobases that make up DNA and RNA. As a result, the thymine molecules could be dimerized into a di-thymine product, which the scientists were able to be isolate – a huge advantage, given that di-thymine is related to skin cancer and can now be easily isolated and studied.